This is necklace #2 of my acorn and leaves series. I am so loving this look. 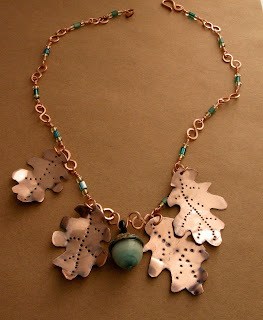 The first acorn and leaf necklace is finished also, and I chose to use only one leaf for that one. This is so special! I really like it, Cindy.